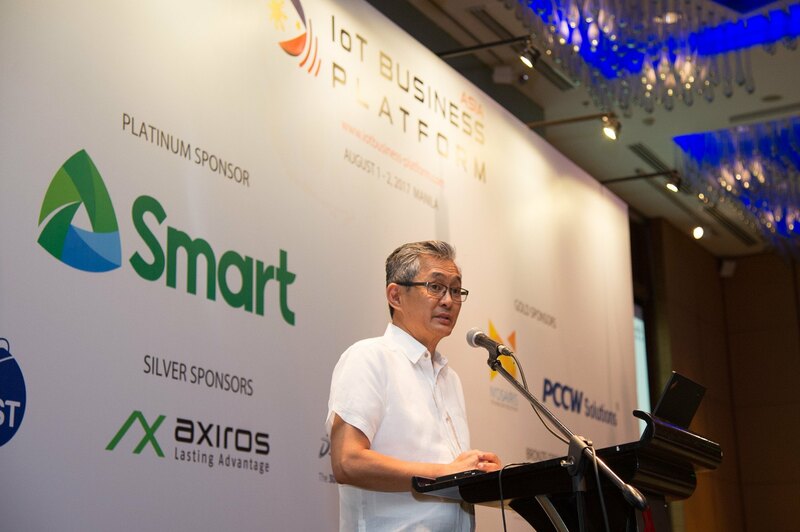 At our 15th Asia IoT Business Platform in Manila last year, Department of Information and Communications Technology (DICT) undersecretary Monchito Ibrahim admitted that Philippines suffers from the slowest and most expensive internet in the region. One of DICT's flagship project,"the Free Wi-Fi in Public Places" was only able to reach 700 of the 13,000 target sites after its initial launch in 2014 ago as there were "very, very few bidders for the mid-mile." Since Duterte taking the office in 2016, Philippines has been experiencing an infrastructure boom with $180 billion set aside for 75 flagship projects to transform the Philippines economy and improve rural incomes, create more jobs and make the movement of good and people more efficient. It is hoped that these infrastructure investments would reduce the cost of doing business. A study by Japan International Cooperation Agency (JICA) found that Manila is losing $45 million everyday due to traffic and the figure is expected to balloon almost 3 times by 2030. JICA is funding a $2 billion train project connecting Manila to Clark by 2022. Setting aside the necessary investments for these projects are important but anyone stuck in the traffic to NAIA Airport will also quickly tell you that it is perhaps just as important to make sure of proper planning so projects can happen on time and on budget. The Asian Development Bank (ADB) is supporting Duterte's "Build, Build, Build" through a new $100 million loan for the Infrastructure Preparation and Innovation Facility (IPIF). Infrastructure projects worth about $3.8 billion will be prepared under the facility. It will help the government expedite the cabinet’s review and approval process and shorten start-up periods for priority infrastructure projects. Jose Al Fruto, the assistant regional director of Department of Public Works and Highways (DPWH) Region VI, has handled many complex, large scale infrastructure projects in his 30 years and not all have gone smoothly. Incomplete planning and design, insufficient funding, limited technical know-how in project preparation, and lack of inter-agency coordination are some of the factors that can slow big projects down. “There are many challenges in implementing a major infrastructure project. It will be a big help if the masterplan, feasibility study, and detailed engineering design are carefully carried out to realistically address the requirements of a particular project. We are also looking forward to the transfer of technology to our local engineers. Hopefully our engineers can adopt the best practices in all other projects of DPWH,” he said in an article with ADB. We are fans of Runway Manila, one of the success stories of Build, Build, Build, connecting NAIA T3 to Newport City (and the location of our conference at Manila Marriott). After witnessing how Virtual Singapore has facilitated the future of city planning in our nation, we are excited about the integration of new technologies as Philippines embark on this ambitious infrastructure vision. Find out more about how technology is facilitating Philippines development at the 22nd Asia IoT Business Platform on 26 & 27 April.